Deals in supplying of Humidity Data Logger Meters such as electronic humidity meters, pressure temperature, humidity meters, temperature humidity meters, digital Portable temperature, humidity data logger, and more..
We are an instrumental firm offering USB RH And Dew Point Loggers to our clients. It offers protection against ingress from water and dust. Our clients can graph, print and export the data to other applications. It has flash lights that functions for correct or incorrect measurements. We try to manufacture the product using cutting-edge tools and technologies using optimum quality materials. Offered range is affordable. 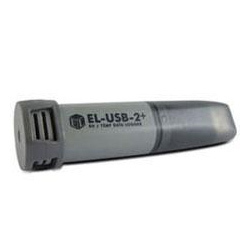 Manufacturer: Lascar Electronics Lascar Logger Measuring and Logging Relative Humidity and Temperature.The Easy Log USB Humidity & Temperature Data Logger records and stores 16K temperature and humidity readings. The Humidity Logger features protection against ingress from water and dust to IP61 standards, user selectable sampling rate and start time and direct usb connection to PC for downloading of data. The logger software allows for data to be graphed, printed and exported to other applications. Correct functioning of the unit is indicated by flashing red and green LED. The USB Docking Ball provides a handy extension cable for all your USB devices. The USB docking ball features a 5', USB 2.0 cable and provides a secure platform for USB devices that need to stand in the upright position. 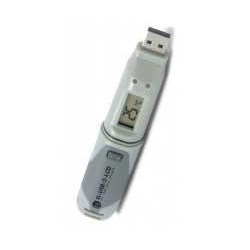 We are engaged in offering USB Data Loggers to our clients who trust us for our quality standards. It is used for effective measurement and records temperature and humidity readings. It also offers data overwriting, usb interface for set-up and data download, alarm thresholds for humidity and temperature, status indicator LED and storage. We keep a strict check on the quality parameters while manufacturing. Manufacturer : Lascar Electronics Lascar Logger with ±2.0% RH and ±0.3°C Accuracy.The USB High Accuracy Temp and RH Logger measures and records temperature and humidity readings with a ±2.0% RH and ±0.3°C Accuracy. 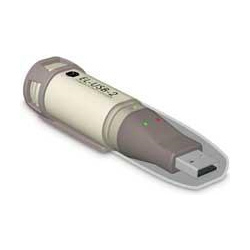 The logger features data overwriting, usb interface for set-up and data download, alarm thresholds for humidity and temperature, status indicator LED and storage of 32,758 total samples. We manufacture and supply LCD Data Loggers to our clients. It is known for measuring and recording temperature and humidity readings. It also offers qualities like a high contrast lcd, usb interface for set-up and data download, alarm thresholds for humidity and temperature, status indicator leds and storage. We are highly engaged firm that offers efficient product to our clients in the most affordable price range. Manufacturer: lascar electronics lascar USB logger measuring temperature and humidity with lcd display.The usb lcd logger measures and records temperature and humidity readings. The logger features a high contrast lcd, usb interface for set-up and data download, alarm thresholds for humidity and temperature, status indicator leds and storage of 32,758 total samples. For accuracy of ±0. 3°c, check out the high accuracy temperature and humidity usb lcd logger.